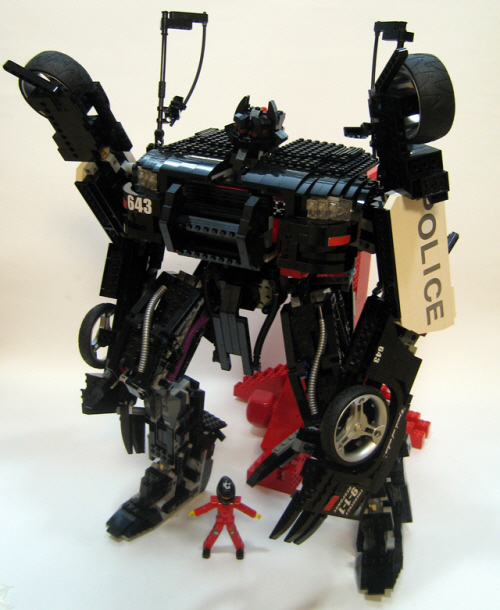 It is a transformable barricade reffered to hasbro toy. Even if it's so heavy, my barricade needs the supporter at back. "To Punish and Enslave"! Incredibile! Instructions pls! 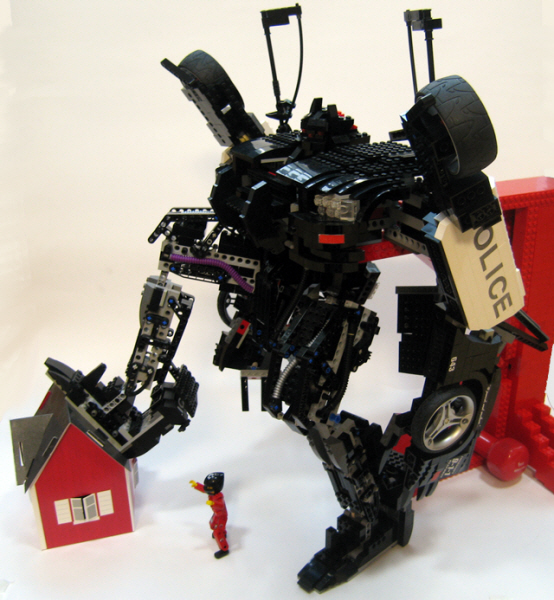 Wow, I just recently decided to try and tackle a functional transformer build with Lego's. It starts getting tricky when you realize you don't have all the components to do what you need, then I found your creations online. VERY impressive, and my hope has been renewed! Nice work. I'm absolutely stunned! How long did it take to build? Amazing i have been trying to make a transformer but i cant yet. That is cool as ----. Awesome work on barricade, he is one of my favorite Decepticons! You have to make a stop motion of this.That will be epic but not as epic as this creation. Impressive in car mode AND robot mode...Just awesome man!!! Wow... the Mustang would be a great MOC by itself, but when it stands up and starts stomping on stuff... amazing! do you work for the lego company or something! I love this! Best transformer on Mocpages! 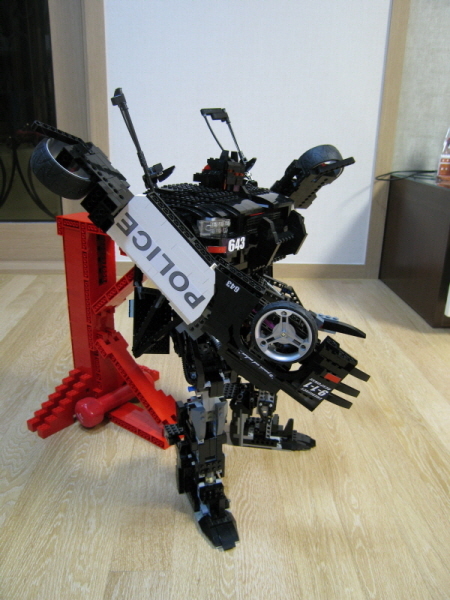 I agree, best Transformer I've ever seen, Lego or otherwise. Awesome! 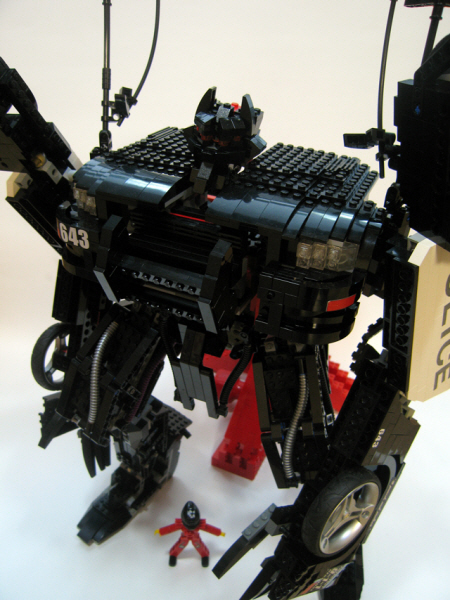 This is by faaar the best transformer I�ve ever seen in Mocpages! Darn I didn�t new Japan/Korea/China had some mad skills! Japan? Greetings from Thailand/Sweden! Now I've seen some pretty good looking Lego transformers out there but very few that actually transform. This is by far the best one out there, Congrats! OMG... 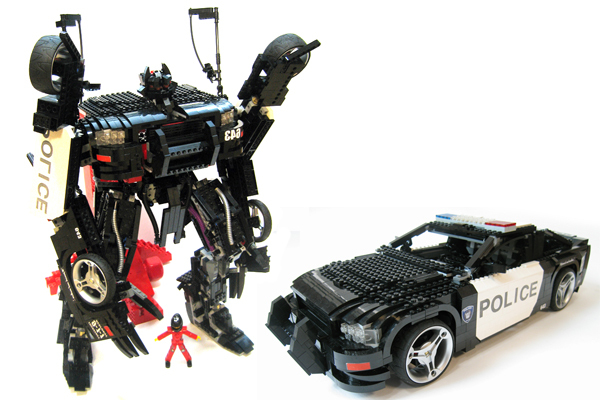 I think I'll have a heart attack... Best LEGO transformer ever. Period. Wow cool that is the most awesomest creation I ever saw! PS: how did you made that thing? You must become a lego designer! AWESOME!!! I just saw the youtube video on youtube and I came here. I'm surprised I didn't see it earlier! Oh...MY....God!!! That has got to be the most amazing transformer i've ever seen! The detailing is amazing! O_o Whoa, that's just impossible...awesome. Duuuhhhhh...:O... You are a GOD!!!!! I'm pretty sure if lego makes this official, than it would be over $100+! Would you still buy it then? Oh yeah cool moc! That is sick. 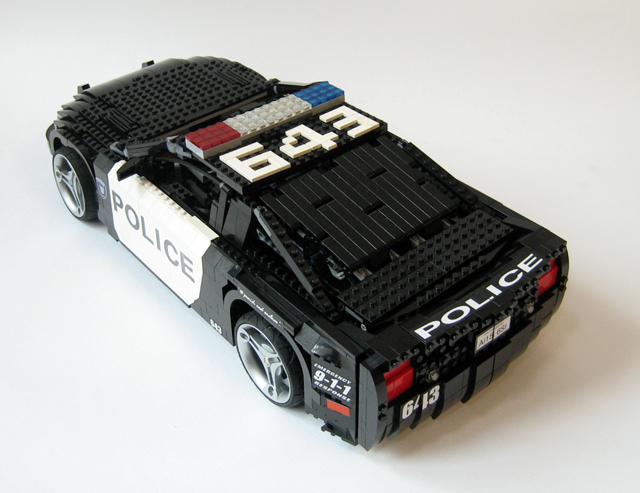 Probably the best Lego Barricade I have ever seen on this site. Words can not explain how amazing this is! and it's huge, it's like if hasbro made a leader class barricade (even though it's lego) it transforms alot like the real one too. And I guess words can explain it because I just sorta did. BARRICADE!!!!! That's cool. that's acctually a rate of 100000/100000!!!!! keep buildin and studin! by the way i built a bumblebee and optimus that transforms car to robot and semi to robot!!!!! autobots rollout! Amazing! 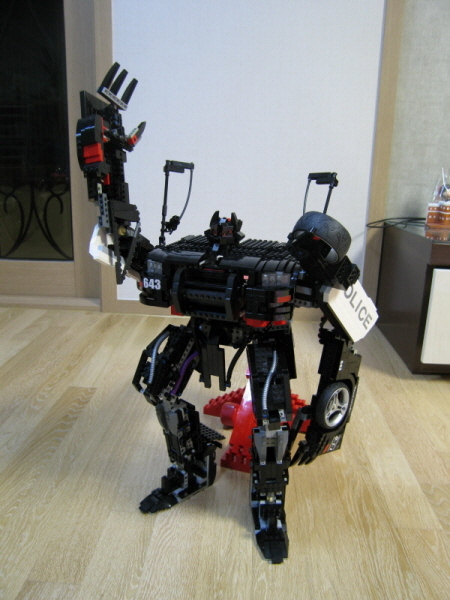 Definitely, one of the best LEGO Transformers I've ever seen. this is GREAT!! just the sheere size of this thing is amazing! i would of just settled for just him in robot form, but you went the extra mile and made him trandform! i bet the head was hard!! you have every lat detail! this isn't popular enough! i made black out (not yet posted) but he probably only reaches barricade's knees!! and doesn't transform. now, back to you. in my opinion, this rivals the work of Mark kelso!! seriously! you need more credit! you sir, are a brilliant genious! Michal Bay would be proud! 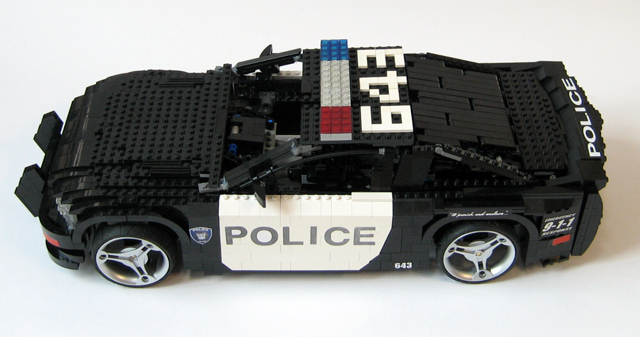 wow i never knew i could be so jelous of sombodies lego creation!!! This MOC is a masterpiece! Really, really impressive. DUDE THAT IS FREAKING SWEET! VERY impressive !!! One of the best MOC I ever seen. Wow. This is really impressive. This goes in the "I didn't think something like it was possible" category. Thanks for showing it on video. *sniff* I can't believe this! I sure hope you build more!